Cloudflare is probably one of the most accessible Content Delivery Networks out there. Check out their plans here. I’ve had the chance to test their free plan both on static websites and Content Management Systems such as WordPress. In this post, I’ll explain how I set it up with my WordPress blog and I’ll share the problems I had in the process. All the features listed above can be used for free. 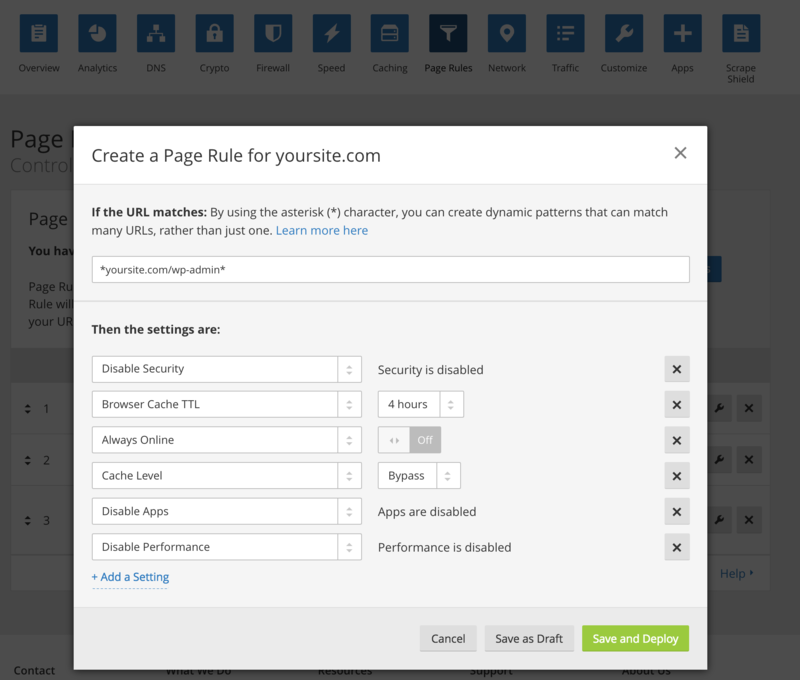 To setup Cloudflare on your website, you have to do a few things. Go to Cloudflare, create an account and enter your domain name. Cloudflare will give you a list of nameservers. Once you have them, go to your domain registrar page and replace your current nameservers for Cloudflare’s nameservers. That’s it! Your traffic will now go through Cloudflare’s system. I initially thought that whitelisting Jetpack’s service IP on Cloudflare would solve the problem but Jetpack uses the following IP range 192.0.64.0/18, and Cloudflare doesn’t allow the /18 notation. Don’t be surprised if Cloudflare doesn’t work right after the DNS setup. Propagation takes a while. They have a handy “development mode” that pauses Cloudflare and directs all traffic to your origin – this is helpful when making changes on your website. For those of you who’d prefer using AWS with their WordPress site, I’ve written a post on Amazon S3 and Cloudfront.